Just how unpopular is the transgender movement? Even Massachusetts isn't buying it! Two years after the legislature opened up the state's bathrooms and showers to both sexes, even Bay State voters are drawing the line. The fight has been an eye-opener for Democrats, who are scrambling to protect their agenda from an embarrassing loss in one of the bluest states in the union. Turns out, you don't have to be a conservative to understand how dangerous gender politics can be! No one -- including Governor Charlie Baker (R) -- saw the opposition coming. In 2016, party leaders were apparently reading their own press releases and watching MSNBC and thought the countermovement was a joke. Now, two years and more than 50,000 petitions later, no one is laughing -- least of all Democrats. Before Baker's signature was even dry, "Keep MA Safe" went to work, sending an army of volunteers and church groups to neighborhoods all across the state. In 45 days of door-knocking, the coalition did what no one thought was possible: they not only hit the 32,000 threshold for signatures -- they exceeded it by 17,000! Now, thanks to their hard work, a repeal is on the ballot this November, and LGBT activists are panicking that common sense might win. Like other sexual orientation-gender identity laws (SOGI), this one affects everything from hotels, bars, and restaurants to gyms, libraries, and theaters. Even private schools would have to open their stalls to anyone on days when they're hosting public events. Object, the state says, and go to jail. That goes for parents who don't want men sharing private spaces with their little girls to students who are scared to change for gym with teenage boys in the room. 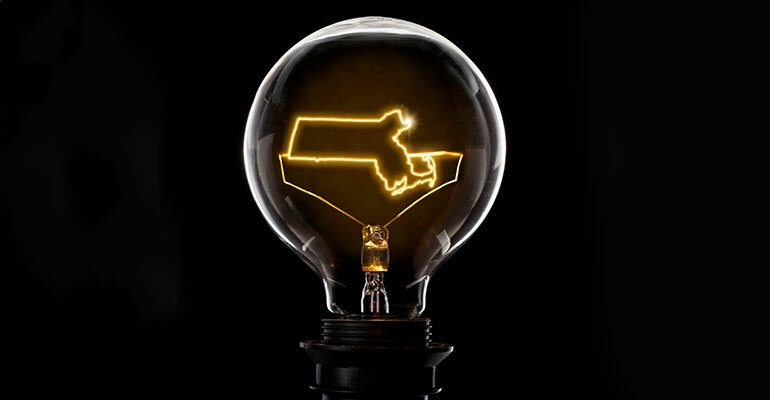 In an op-ed that desperately tries to downplay the risks of Massachusetts's policy, state house Speaker Robert DeLeo makes the ridiculous claim that there's been no fallout from laws like this one. "Opponents to this common-sense protection routinely and falsely claim that the law could be abused by criminals seeking to harm women and children in public restrooms," he writes. "The facts simply don't support this fiction." He apparently doesn't shop at Target! What does DeLeo call this laundry list of police reports here and here? The threats associated with Massachusetts's law aren't something conservatives invented (unlike the Left's latest definition of gender). There are very real patterns of voyeurism, harassment, and abuse that result from open-door policies like this one. Still, DeLeo insists, "I've had the good fortune of meeting transgender residents of our Commonwealth one-on-one, and I recognize that they only want to go about living their lives just like all of us." Where have we heard that before? Americans have been down this road of "coexistence" for the last two decades, and all they've gotten in exchange are attacks on their religious liberty, personal safety, parental authority, and financial livelihoods. If DeLeo and company were truly interested in letting people go about their lives, he'd let business owners and school boards make their own rules -- not force them to adopt extremists'. Fortunately, a lot of Massachusetts voters agree. According to polling, the repeal effort is dead-even, which has come as a huge shock to Leftist Democrats. Even DeLeo is acknowledging that liberals have zero margin for error, "We can take nothing for granted. Recent public polls show this as a 50/50 race." Yvette Ollada, the campaign manager for Keep MA Safe, says the coalition is confident that "a strong education effort about the dangers of this law will ensure a victory for our side in November." But, she cautions, "though we have a very good chance of winning, it's all reliant on a well-funded campaign. We need resources to get our message out to voters... Once voters learn that a man can just say he is a woman; in order to access bathrooms, dressing rooms and locker rooms; it only makes sense to vote 'NO' to protect women, children and vulnerable minorities. The other side may have the mainstream media and a lot of money on their side, but if we focus our resources strategically, we will defeat them on Election Day." She's right about the money. This week, the far-Left announced a million-dollar ad buy for a massive push this fall. Of course, that over-the-top spending wouldn't be necessary if their policy was as popular as LGBT activists say it is! For conservatives, meanwhile, there's a very real opportunity here to send a message to the nation that transgender politics are out of step with even the most liberal Americans! As Massachusetts Family Institute's Andrew Beckwith says, we can't underestimate the importance of this moment. "This is an important fight for the Commonwealth and the pro-family movement, since Massachusetts could be the first state to attempt to repeal a law like this at the statewide level. We are ground zero! We need help, though, from faithful people across this country, because the other side is well funded and well organized. If we all come together we can and will defeat this horrible law." Join Massachusetts in a battle that could send transgender activists packing. See what you can do to help by visiting KeepMASafe.org!